Gary Rottman received an MS (1969) and PhD (1972) from Johns Hopkins University. 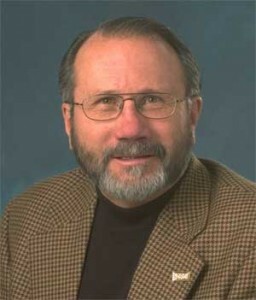 He joined the research faculty of the Laboratory for Atmospheric and Space Physics at the University of Colorado in 1972. From 1992 to 1996 he was a Senior Scientist at the High Altitude Observatory of NCAR after which he returned to LASP. His research has concentrated on the development of ultraviolet instrumentation to study the Earth’s atmosphere, the Sun, and the planets. He has conducted more than 25 sounding rocket experiments and he was Co-Investigator and Project Scientist for the Solar Mesosphere Explorer. Before retiring from LASP in September 2005, in addition to being the original SORCE mission Principal Investigator, he was also the PI for the SOLSTICE instrument on UARS, and Co-Investigator on the TIMED SEE and SDO EVE experiments.